Just like yesterday, the reality is glaringly manifesting taming all doubt about the demise of Prof. Celestine Onyemaobi Elehi Onwuliri, a velvet-ranking academic and intellectual anchor. Prof. Onwuliri alongside 152 others died last year at the doomed Dana Aircraft precisely at Iju-Ishaga Lagos State. Prof. Onwuliri until his unfortunate death was on sabbatical at the National Universities Commission(NUC) as the Panel Chairman on the Establishment of Private Universities. 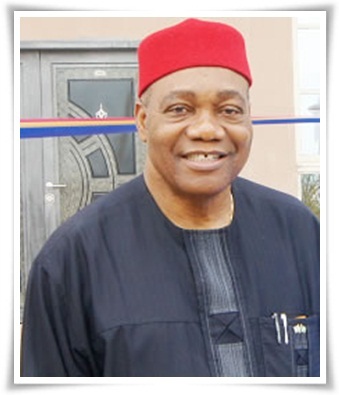 He took up the appointment after a 5-year tenure as Vice-Chancellor of the Federal University of Technology, Owerri(FUTO) where he displayed administrative acumen and helped shape the future of the university. With several awards, prizes and accolades, Prof. Onwuliri’s profile is rather intimidating and nonetheless inspiring. My interactions as well as queries with the Grand Commander of the Knight of St. John International clearly show him as an understanding, accommodating and articulate administrator. That singular event that wasted the lives and future of many Nigerians is a monumental tragedy which must not be allowed to occur. What happened to the flurry of investigations, probes, enquiries and hullabaloos one year after? May their souls find space in the lord- Amen. Stanley was a student at FUTO during Professor Onwuliri’s years as Vice Chancellor.